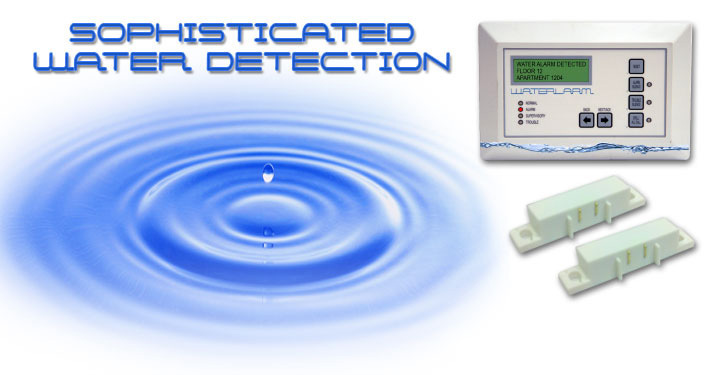 A water leak detector made by WaterLarm instantly alerts you if there is the slightest condensation or water leak. Water leak damage in buildings, large or small, can be costly to repair. The leak detector system presents an entirely new standard for building water-leak safety. 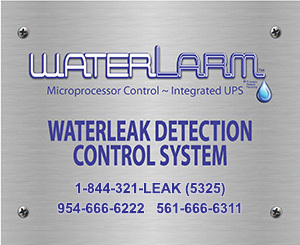 WaterLarm sensors are based upon some of the most innovative leak detection technologies with point of leak identification and automatic water source shut down technology. Water damage can cost tens of thousands of dollars if not detected in a timely manner. If an unoccupied residence has an undetected water leak, many adjacent residents will suffer the consequences. A minor leak can go undetected for several months allowing mold to grow. When mold spreads throughout a living space, it may lead to serious health consequences. By purchasing a leak detection system from WaterLarm, you are ensuring the safety of your property and residents through early warning leak detection with our patented WaterLarm system and WaterLarm’s innovative valve technology.